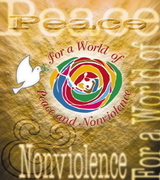 For a World of Peace and Nonviolence I. 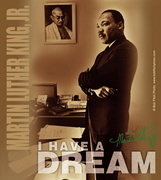 For a World of Peace and Nonviolence II. 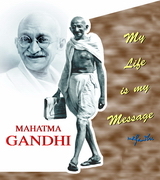 My Life is my Message - Mahatma Gandhi I. 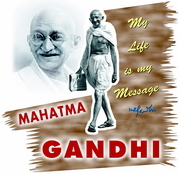 My Life is my Message - Mahatma Gandhi II. 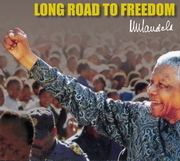 Long Road To Freedom - Nelson Mandela. 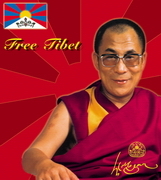 I Have A Dream - Martin L. King, Jr.
Free Tibet - HH the Dalai Lama. I want world sympathy in this battle of right against might, Mahatma Gandhi, Dandi, 5 April 1930. In the midst of death life persists, ..., Mahatma Gandhi, Young India, 11 October 1928. 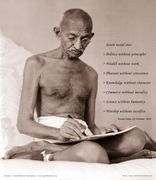 My Life is my Message, Mahatma Gandhi in English and Bengali. Indeed, one perfect resister is enough ... , Mahatma Gandhi, Young India, 10 November 1921. There is no God but Truth, Mahatma Gandhi, 2 April 1939.